Sketching and painting in a structured and planned way has various advantages. 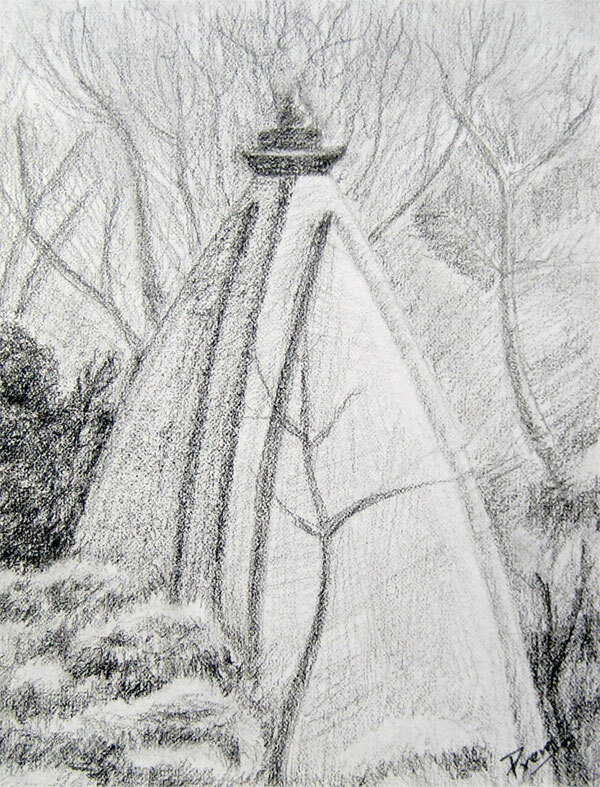 Therefore, I have started doing my artworks in that manner and have drawn a variety of sketches of 'Temples' which I am going to share with you in this post. Although the temple was nearby my house and I used to go back and forth through the path of the temple for 3 academic years of my school life, I hadn't been inside the temple even once since the temple was facing the side opposite the road. So, after realizing my ignorance, I purposefully went to visit the temple. Although I couldn't figure out the name of God, Hindus have many Gods by the way, I confirmed that it was a Hindu temple. The temple was quite huge and tall in its unique structure as seen from the front end. 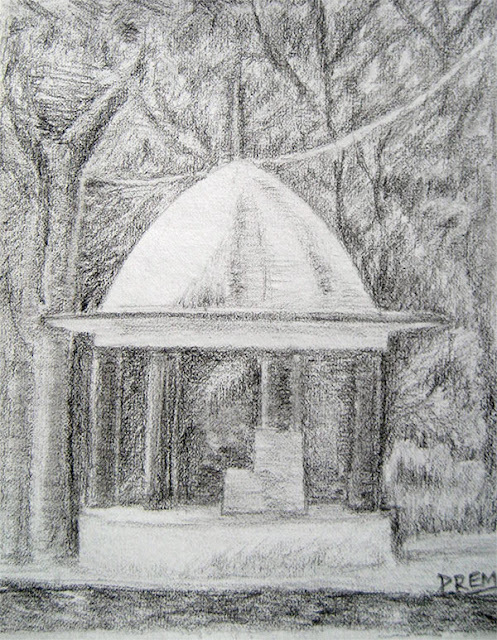 The second sketch must look quite familiar to those who have been to Hindu societies. However, it still has some peculiarities with its relatively flat (instead of slanted) roofs. 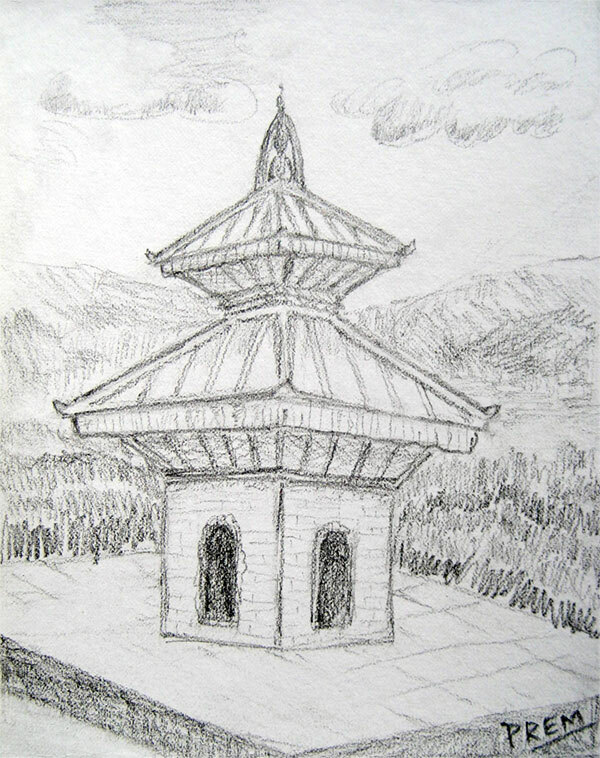 I sketched this temple by making a reference to a photograph that I had taken in Phoolbari, Butwal when we had been there for a picnic. 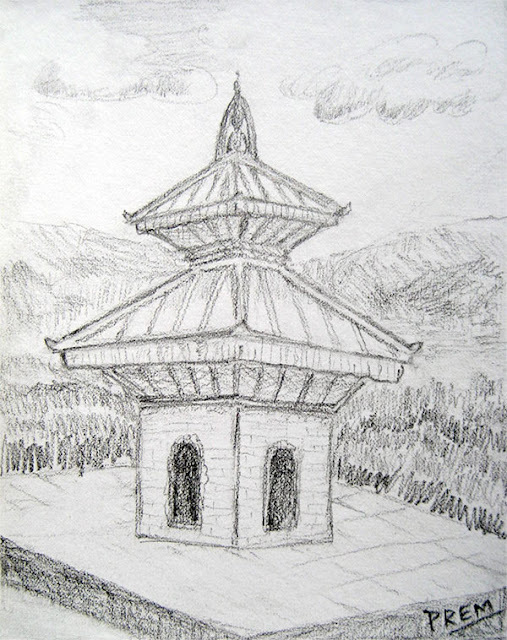 This temple is also from the same place in Butwal. It was also different from the normal temples as it was round in shape and had no walls. 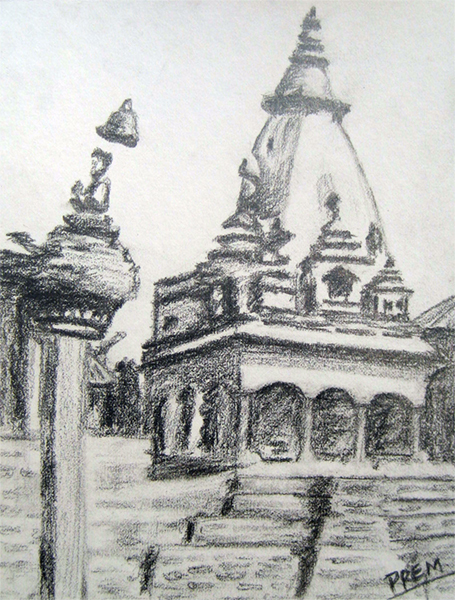 I drew this temple from a roughly painted picture of Bhaktapur Durbar Square printed in the cover page of my sketchpad. 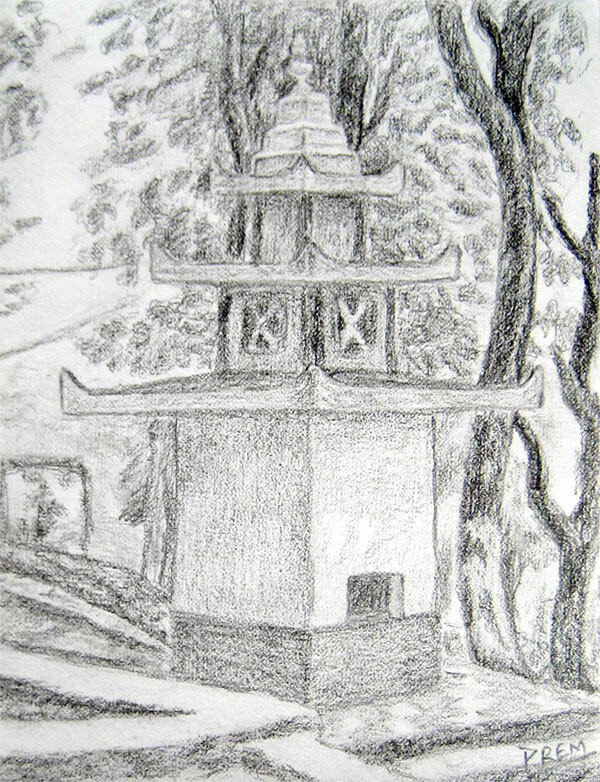 This last temple is the most common Hindu temple in its shape and structure. I drew it randomly without any specific reference and hence I didn't get the perspective right. This drawing of a typical Hindu temple has made me realize that I still need to practice more to sketch better. Your comments and kind suggestions are warmly welcome.